SA-90 is a high strength multipurpose contact adhesive suitable to use on metal, wood, ceramics, cork, carpet, tiles and foam backed carpet.For accurate positioning apply SA-90 Adhesive spray to one surface or apply SA-90 to both surfaces and use it as a contact adhesive. High performance SA-90 Adhesive spray has an adjustable actuator so you can select either a vertical or horizontal spray pattern. 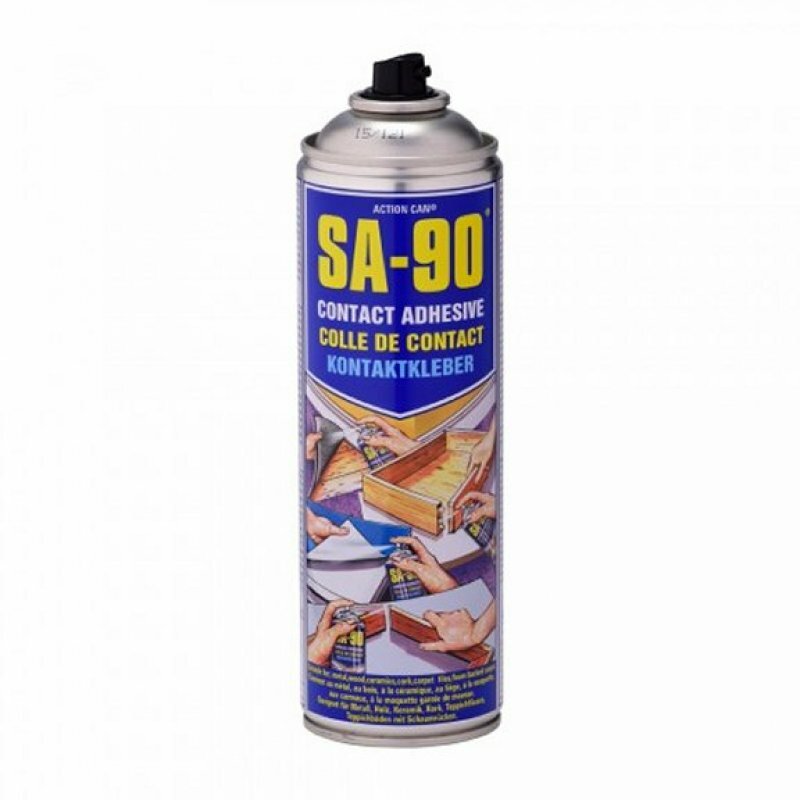 SA-90 is commonly used by joiners, carpenters, engineers, upholsterers, carpet fitters and many other tradesmen.